Uno Mega Textile, Inc is a subsidiary of the global fabrics supplier, Changxing Hongyun Textile Co., Ltd. 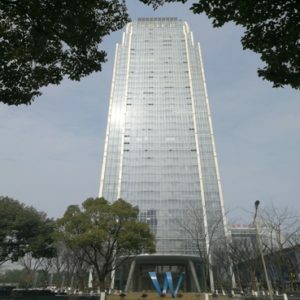 Founded in 2003 and located in Zhejiang, China, we currently operate over 600,000 sq ft of production floors, making us the among the largest fabric enterprises in our region. Our specialization is knitting warp and weft fabrics, especially 100% Polyester and Poly-spandex blends, like Rayon, Cotton, Modal, and many other yarn blends in a variety of constructions and weights. In addition to knitting fabrics, we offer dyeing and printing including sublimation, wet printing, burn-out, foil, and more. 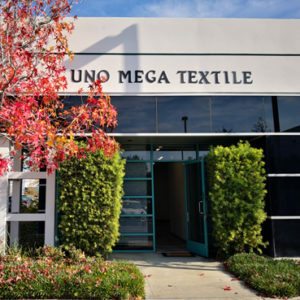 With reliable inventory and representatives ready to process your greige, dyed, or printed fabric order, UnoMega Textile is here to meet your bulk fabric needs.